We saw yesterday how geography helps determine the number of submarines required for a credible deterrent capability. But that’s not the end of the story. The characteristics of the submarines themselves are also important. For example, the speed of advance is the critical factor in determining how long it will take a submarine to complete the transit to and from a patrol area. 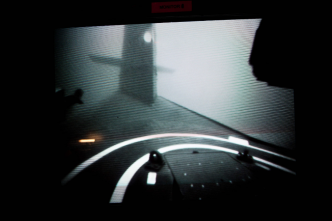 This speed is determined not only by the submarine’s own design, but also by external factors such as weather, ocean currents, the need to remain covert to achieve the mission and level of ASW surveillance/threat. 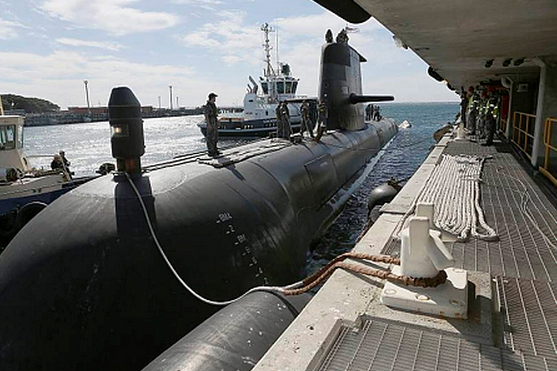 Design features of the submarine, such as hull shape and the rate at which it can recharge its batteries (and their capacity) will determine how it performs in those environments. Not all designs are equal; these features are all critical attributes that need to be balanced and optimised in the design of the future submarine. My brief summary understates the challenge and complexities involved in achieving this. The external factors will vary during the course of a transit and the mission profile will be adapted ‘on the fly’ to accommodate these variations. Typically the submarine will ‘snort’ (run its diesels to recharge the batteries) at a slow speed and for a limited time, exploiting local acoustic and environmental conditions where possible to reduce counter detection risks, before going deep to run at higher speed using power from the battery to cover the ground. To avoid snorting in a high threat/surveillance situation in the choke points enroute to the patrol area, it’s possible that an air independent propulsion system may have to be used—though that’s generally a limited resource. To assess the impact of these factors, I’ve developed a simple model including the time necessary training of crews, maintenance and using assumptions based on typical performance figures made possible by exploiting modern propulsion and battery technologies for the next generation submarine. Modelling the transit timing with an allowance for the practical and navigational obstacles indicates that a force of eight high capability future submarines would have to be dedicated to the task to maintain one continuously on task at 3,500 nautical miles. Each mission would typically involve 35 days transit to and from the patrol area, in a tactical posture responsive to the threat/surveillance environment, and 35 days on patrol—a total mission time of 70 days. Two such missions per year are probably the limit for crew effectiveness and retention. This regime would provide some relief from this cycle and time for other employment. It’d be prudent to be able to provide at least one additional, operational submarine for other, concurrent tasks such as Task Group support at closer ranges or for own ASW force training. Allowing for the rule of three, this would require a total force of at least 12 submarines. This calculation illustrates the process of determing the number of submarines Australia might require to deal with a contingency. It’s at the minimalist end of the spectrum, with little allowance for attrition or the unexpected. The strategic situation may also require additional deployed submarines—see my earlier point of maintaining two on patrol at long range. The cumulative requirement could sustain an argument for a total force of 15 or 18 submarines to provide for attrition and the flexibility to meet a range of circumstances. I should note that the calculation is particularly sensitive to the availability of submarines; these figures are based on 66% (ie the one in three rule). 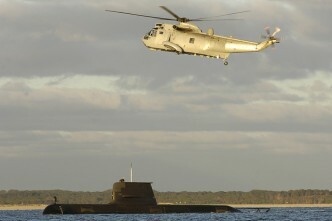 Summing up, twelve submarines is the minimum force size to enable Australia to sustain one deployed at long range in a demanding but practical cycle, provide one operational submarine available for other tasking and have some capacity for ASW training or other contingencies. 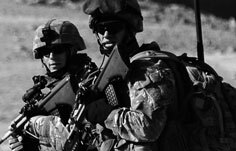 The deployment mix is one for the strategic judgment of the Government of the day and will depend on the circumstances they face. As a minimum, for a sustainable manpower base we should have at least nine submarines. 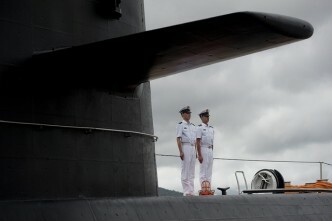 Australia's future submarine, but which one?